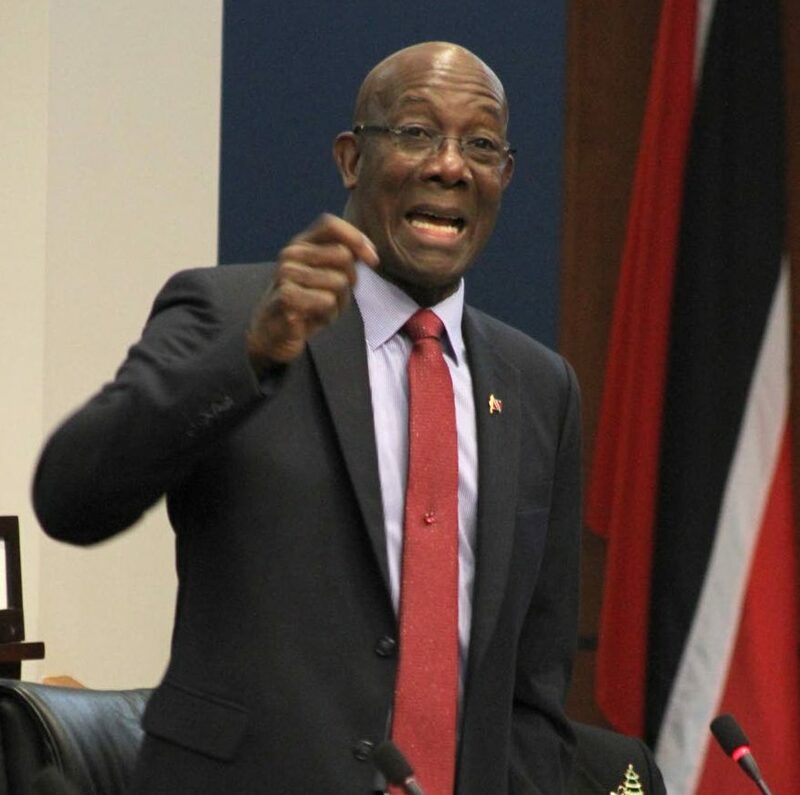 PRIME Minister Dr Keith Rowley yesterday accused the Opposition of attempting to "torpedo" the TT/Venezuela cross-border gas deal by getting opposition forces in Venezuela to oppose it. He made the comment while responding to prime minister's questions in the House yesterday. Naparima MP Rodney Charles said, given warnings by opposition forces in Venezuela that they will not honour any agreement entered into by the Maduro government, what steps were being taken to ensure agreements made by TT with Venezuela, survive a change of government in that country. Rowley said: "I want the population of TT to take careful note of the behaviour of the Opposition in TT on this matter." He said Government came to this House and reported they had engaged in far-reaching discussions with the Venezuelan government. "We in TT have no role in who is the government of Venezuela. We treat with the government of Venezuela as it exists in Venezuela," Rowley said. He said this Government was able to do what the Opposition said was not possible which was to get an agreement with the government of Venezuela to have commercial access to gas fields off the north west coast. "I'm aware that members of this Opposition in TT have been trying get members of the opposition in Venezuela to oppose this matter. I make no further comment at this time but after a year and a half of the successful conclusion of this international agreement lo and behold an individual, one individual from the Venezuelan opposition comes to TT to say that 'the agreement may not be honoured.' I want to say to the people of TT pay careful attention. Whatever you think of the Government of Venezuela...that government is a matter for the people of Venezuela." He said that government of Venezuela is engaged in trading and agreements with a number of countries around the world including Russia, China, Colombia, US and Brazil. "The only place this type of talk is present and en vogue is TT where the Opposition in TT is trying to get the Venezuelan opposition to torpedo an agreement between the Government of TT and the government of Venezuela." Charles said: "I can say categorically we are not engaged in (that)." Oropouche Moonilal asked Rowley who were the Opposition members who were trying to undermine the agreement among Venezuelan opposition members. Rowley said: "My colleague from Oropouche East could assist us and the country by telling us who brought that Opposition member here to come and talk that talk in TT." Charles also asked given reports in the US media that it would take $1 billion of investment to facilitate the agreement whether the Prime Minister thinks it prudent to invest taxpayers' money in something that may not last a regime change. Rowley said: "This is the kind of misinformation that is being fed to the people of TT." He said for years this country has been talking about running out of gas and he saw nothing wrong with taxpayers' money being used to build the pipeline between Dragon field (in Venezuela) to the Hibiscus platform (in TT) and helping to keep Point Lisas going. Reply to "They want TT/Vene gas deal killed"